The THINK (The Hawaii Island New Knowledge) Fund application at the Pauahi Foundation opened on February 4, 2015. This is a new, multi-year scholarship fund for the Pauahi Foundation. The THINK Fund at the Pauahi Foundation is focused on providing essential scholarship funding to individuals pursuing STEM (science, technology, engineering and math) endeavors. The Pauahi Foundation's selection criteria include a minimum 2.5 GPA, Hawaii Island resident status, STEM major or related field, full-time enrollment and demonstration of financial need or merit achievement in current studies. It is estimated that the THINK Fund at Pauahi Foundation will award four, two-year graduate level scholarships up to $10,000 each year, five undergraduate level scholarships to a four-year institution at $5,000 each year for four years, and an additional $3,500 per year for five scholarships at a two-year institution. "With Hawaii Island having the second largest population of Native Hawaiians in the state, our partnership with TMT provides much-needed financial support for Hawaiian learners from Hawaii Island to pursue educational opportunities in STEM," said Pauahi Foundation Executive Director Keawe Liu. Requirements include completing an online application, submitting official transcripts from either high school or college, a college acceptance letter if not currently enrolled as a college student, a SAR (Student Aid Report) from the FAFSA (free application for federal student aid), a demonstrated interest in Hawaiian language, culture or history and a commitment to contribute to the greater community. The Pauahi Foundation gives preference to applicants of Hawaiian ancestry to the extent permitted by law. For additional information on the scholarships available through the THINK Fund at the Pauahi Foundation call 808-534-3966 or email: scholarships@pauahi.org. The scholarship application deadline is 4:15 pm (HST) March 20, 2015. 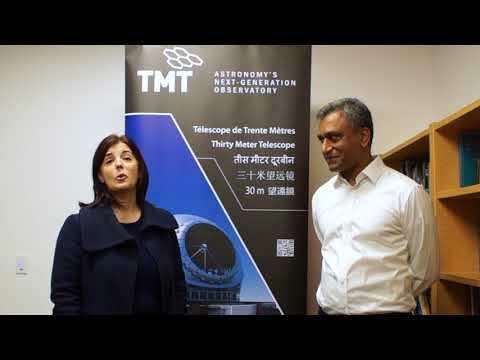 TMT's founding gift of $1 million marks the beginning of the construction phase of astronomy's next generation telescope on Maunakea. TMT's annual $1 million contribution allocates $750,000 to THINK Fund at the Hawaii Community Foundation and $250,000 to THINK Fund at the Pauahi Foundation. The foundations will administer their respective THINK Funds independently and will have autonomy in administering grant funds, determining scholarship recipients, and the selection and governance of Advisory Committees.